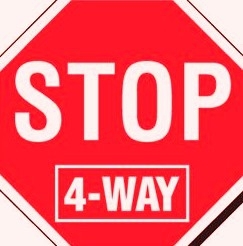 Caution ....When the Traffic Lights Are Not Working...Treat Like a 4 Way Stop Sign!! The Baltimore area along with the entire east coast has felt the effects of Hurricane Irene. We were fortunate there was not more damage. Lots of trees and debris all over our city and most has been cleaned up. 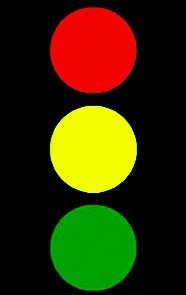 What we are finding is power outages...not only in homes, condos and business but in our traffic lights. There has been an increase in accidents at intersections with non functioning traffic lights. Do you know the procedure when approaching a light that is out? To search the MLS either to buy a home or to keep an eye on your own neighborhood, I have made it easy to sign up and search the Multiple List System for All Active Maryland Listings. It is...Like Having Your Own Electronic Agent! You can find all the active listings in Maryland plus the five surrounding states. Try it... a Free Service From HomeRome! Search the MLS just like Realtors® Click to search All Active Maryland Listings You can narrow the search down to number of bedrooms, lot size, price range, zip code, etc. Be sure to sign up with your email address to ensure daily updates of properties. These emails will include photos, address and price of the listed homes. This is a free service to make finding your special home easier.